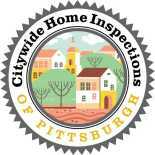 Call anytime Monday through Saturday 9am-9pm at 412-862-1443 to get a price quote and schedule your inspection. Email 24/7 to schedule at jthefleenor@gmail.com. To book online press the button below and you can enter the information for scheduling yourself. Inspections are usually scheduled for 9am or 1pm Monday through Saturday. Let us know if you need another time and we may be able to accommodate your schedule. If the house is vacant or occupied? Who is your real estate agent? And their email and cell numbers. Full name and contact information for whom you are buying the with, if anyone. Any other relevant details about the house you are concerned about.